NSPE Executive Director Mark Golden, CAE, and I have taken the opportunity over the last two issues of PE magazine to discuss the Future of the Profession Task Force and the accompanying themes from the book The Future of the Professions. Additionally, the last issue of PE magazine provides a deeper dive into the concepts and the work of the task force through the cover story “End of an Era?” by Danielle Boykin. The article included interviews with Adam Stodola, P.E., the chair of the task force, and me. You will even find information related to this work on Mark Golden’s blog on the NSPE website and in our members-only forum, NSPE Communities. There is, however, a key concept that we have not yet addressed in any of these discussions: Who is our future? Much like civilization generally, a profession (or a society) cannot continue without ensuring that there will be those who will come after us to fulfill our roles. But there is the question of whose responsibility it is to find and recruit the next generation of professional engineers and the next generation of NSPE members. I believe the answer is quite simple: It is the responsibility of all of us to recruit both new professional engineers and new NSPE members. To the task of recruiting new professional engineers, a profession will not survive without champions—those who will monitor it and continue to promote its importance. Rather than relying solely on engineering educators, it is vital for professional engineers to maintain relationships with their alma maters and take it upon themselves to engage junior- and senior-level design classes or even introductory engineering classes about the importance of licensure and professional engineers’ foremost responsibility to protect the public health, safety, and welfare. When encountering nonlicensed engineering graduates at work or in the community, initiate the discussion about the foremost responsibility of a professional engineer. Read PE magazine (if you are reading this, you’ve got this one down!). Whatever way you like to receive news, NSPE has an option for you. Over the years there have been many discussions about increasing NSPE’s membership back to the levels seen in recent decades. NSPE is currently an organization of 31,000 members. If each member gets a new NSPE member to join or rejoin the organization, we will be well on our way to those previously seen membership numbers. In talking with former members about renewing, explore why they did not renew their membership. This is a perfect opportunity to start a dialogue and work toward defining the value that members require from NSPE. Perhaps their membership lapsed because they forgot to renew or even changed employers and never saw a renewal notice. Maybe they left because NSPE was not doing or offering something we now provide members. By engaging in this conversation, you will discover what is important to them and how you can bring them back into the NSPE conversation. With your help, we will be a stronger and more vibrant organization. NSPE will have resources to provide additional services to our state societies and additional resources to expand government relations and advocacy activities. As such, I open a challenge to each NSPE member to try over the next year to recruit a new member or get a prior member to rejoin the organization. One-on-one communication is the most successful membership retention and recruitment strategy. Please accept this challenge to grow NSPE and prepare the future of our profession! Does NSPE hold a stewardship for the common good? If NSPE does not hold a public trust vis-a-vis its significant roles in the significant self-regulation of the engineering profession - ostensibly for the common good, as descrided in 'the Grand Bargain" in chapter one of the book, "the future of professions," then the only question a current, former, or prospective member of NSPE should ask about membership is "what's in it for me?" That is a legitimate question, but if NSPE does hold a public trust for the common good, it is not the only question - the other question being "is membership in NSPE an appropriate way to discharge one's responsibility for the self-regulation of the engineering profession for the common good?" If NSPE does not hold such a trust, then I am foolish to spend the time and money I have on NSPE, since joining almost 30 years ago, because then NSPE is basically a trade association, that exists solely for the benefits of its members - and, no the beneifts, though real, don't justify the dues, not in my experience. Thanks for whatever consideration you/others in NSPE give my perception and question. 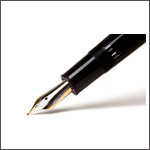 Re: Does NSPE hold a stewardship for the common good? My apologies for the delayed response. You are definitely correct that the world and the engineering profession are changing fast. The engineering profession—like many professions—must adapt, which is an important message for my term as NSPE president. Currently, 11 NSPE members are examining these changes as part of the Future of the Profession Task Force. If you haven’t already, you may want to read the book The Future of the Professions: How Technology Will Transform the Work of Human Experts by Richard and Daniel Susskind. In response to your question: I strongly believe that professional engineers (and by extension, NSPE, as the organization for PEs) have a duty to the public. Every day, NSPE is working to champion the PE license, stand as an ethical guide to the profession, as well as help members advance in their careers and connect with like-minded professionals. NSPE’s advocacy efforts have made a very positive impact, as did the inaugural Licensed PE Day, to name just a couple. There is a lot of work to be done, but this is a very exciting time for our Society, and I am very proud of our many hard-working members who volunteer their time to make a stronger organization and profession. 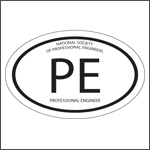 Today is a great day for any PE or student to join NSPE or renew their membership. I appreciate your long-time membership in NSPE. Thank you. Does NSPE hold a public trust? If so, how is its performance? I am a deeply concerned NSPE member, PE, federal agency employee, Christian, American and human - I am not optimistic our unprecedented global civilization - the most complex, hence magnificent, entity that has existed in 4.4 bilion year history of earth, if not 13.8 billion year history of universe, will sustain, more-or-less intact to year 2100. I see a large-scale, if not near total or total, collapse of civilization and attendant billions of unnatural deaths as all-too-possible. I am not trying to demonize anyone, I see us more as victims of our own success as anything else. But we, individually and collectively, need to "change our spots" - and quickly, for our civilization to have much chance of meeting our unprecedented collective challenges. So, please give me a straight answer before I spend precious time trying to persuade others to join, re-join or remain in NSPE - does NSPE, in your opinion, hold a public trust regarding its signifitcant role in the significnat self-regulation of the engineering profession? If "yes," then how good a steward is NSPE of that trust? Is there any "ought" in why someone should join, rejoin, or remain in NSPE because of that stewardship? If not, then, in my opinion NSPE is just a trade association, where "what's in it for me?" is the only legitimate question a member, prospective member or former member should ask about NSPE membership. From my almost 30 years of membership, the answer is "not enough to justify the dues," even though their are real benefits of membership. So I cannot ask somone to join/rejoin/remain in NSPE simply because of the benefits NSPE provides its members. NSPE, to me, is like a faith community - it exists, in essential part, for the benefit of its members, but it also needs to exist for something beyond their benefit - namely the common good (i.e. love your neighbor as yourself) to warrant existence. Thanks for whatever attention you deem this to merit.